Stephen Graham attended Harvard College (B.A. 1974) and produced plays in New York during the 1970s and 1980s. He possesses graduate degrees in Fiction Writing (B.F.A 1992) and English Literature (Ph.D. 2004) from Columbia University. Stephen has taught literature at Columbia College, the New School, and (since 2006) Bard College. He frequently teaches literature courses at Eastern New York State Men’s Correctional Facility, Napanoch, NY, as part of the Bard Prison Initiative. Stephen worries a lot about mass incarceration and the social inequalities that enable and perpetuate it. 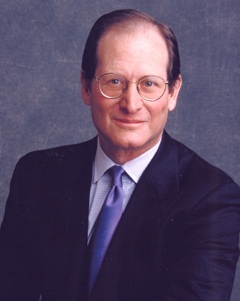 Ben W. Heineman, Jr. was GE’s Senior Vice President-General Counsel from 1987-2003, and then Senior Vice President for Law and Public Affairs from 2004 until his retirement at the end of 2005. He is currently Senior Fellow at Harvard Law School’s Program on the Legal Profession and its Program on Corporate Governance, Senior Fellow at the Belfer Center for Science and International Affairs at Harvard’s Kennedy School of Government. Mr. Heineman was assistant secretary for policy at the Department of Health, Education and Welfare and practiced public interest law and constitutional law prior to his service at GE. Mr. Heineman is a member of the American Philosophical Society, a fellow of the American Academy of Arts and Sciences, and a former member of the National Academy of Science’s Committee on Science, Technology and Law. He is recipient of the American Lawyer magazine’s Lifetime Achievement Award, the Lifetime Achievement Award of Corporate Counsel magazine and the Lifetime Achievement Award of Board Member magazine. He serves on the boards of Memorial Sloan Kettering Cancer Center, the Center for Strategic and International Studies, Central European University and Transparency International-USA. Mr. Heineman is a graduate of Harvard College, Oxford University, and Yale Law School. The Honorable Thelton E. Henderson is a Senior United States District Judge of the United States District Court for the Northern District of California. He was appointed to the federal bench in 1980 by President Jimmy Carter and championed transformative justice for nearly four decades. During his tenure, Judge Henderson became known for his willingness and ability to protect vulnerable populations. In 1987, he became the nation's first judge to declare that gay people, like racial minorities, are entitled to equal protection and due process of law under the United States Constitution. A steward of the environment, he is celebrated around the world for saving dolphins from the tuna industry, and he is credited with making the San Francisco Bay Area meet National Ambient Air Quality Standards. Judge Henderson has steadily vindicated the rights of women and people of color. Though his decision was later reversed, he ruled to strike down Proposition 209, California’s 1996 voter-approved ban on public affirmative action programs. 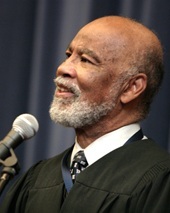 Among his many awards are the American Bar Association’s Thurgood Marshall Award, the State Bar of California’s Bernard E. Witkin Medal, the Pearlstein Civil Rights Award from the Anti-Defamation League, the Distinguished Service Award from the National Bar Association, the Lewis F. Powell, Jr. Award for Professionalism and Ethics from the American Inns of Court, and the Judge Learned Hand Award from the American Jewish Committee. In August 2017, the United States District Court for the Northern District of California dedicated the Ceremonial Courtroom in the San Francisco Courthouse to Judge Henderson. Judge Henderson’s last day on the bench was Friday, August 11, 2017. He is now a Distinguished Visitor at Berkeley Law. Mel Ochoa is the Chief Operating Officer at Landmark Ventures, a global investment bank and strategic advisory firm that specializes in technology within digital media, Internet of Things, cybersecurity, and healthcare. At Landmark, he serves as the Industry Lead on matters related to Education Technology and the Social Innovation Sector (particularly in helping to produce the firm’s Social Innovation Summit), in addition to firmwide responsibilities for talent initiatives, internal operations, and strategic projects. 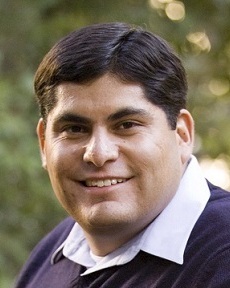 Previously, Mr. Ochoa served as the Senior Director of Marketing & Communications as part of the leadership team at Achievement First, a high-performing network of 30+ K-12 public charter schools. He has also led marketing and communications at the Bay Area Discovery Museum, a 7.5-acre site at the foot of the Golden Gate Bridge, and served as the Vice President of Corporate Affairs and a Co-Founder at BridgePath, an enterprise software provider to the staffing industry. Mr. Ochoa sits on the Board of Advisors forWorldQuant University, coaches Leadership Fellows for New York University, and has advised organizations such as Akilah Institute in Africa, Teach For Haiti, and Code.org. He holds a bachelor’s degree from the University of California at Berkeley, and an MBA from the Stern School of Business at New York University. Susan Butler Plum is founding director of the Skadden Foundation, which awards two-year grants to 28 public interest attorneys per year. The foundation was established in April 1988 and has made grants to 820 attorneys who provide civil legal services to the poor. Prior to joining Skadden, Ms. Butler Plum was the director of the Botwinick-Wolfensohn Foundation and program director of the Booth Ferris Foundation. She also was the associate director for the Environmental Defense Fund. She is a graduate of the University of Miami. 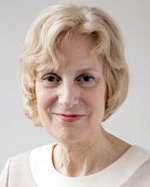 Among her board affiliations are trusteeships of the Stella and Charles Guttman Foundation, where she is president, and of the Community Opportunity Fund. She is also a board member of Deaf Legal Advocacy Worldwide, which was founded by a former Skadden Fellow. Ms. Butler Plum is also a board member of Justice Labs, a Hong Kong-based public interest legal organization. Ms. Butler Plum is also a member of the Foundation Board of Stella and Charles Guttman Community College of CUNY; the International Advisory Council of the Harvard School of Public Health AIDS Initiative; the Harvard Law School Venture Fund Advisory Group; and the New York Weill Cornell Council. In 2008, Ms. Butler Plum received the annual North Star Award, Honoring New Yorkers Committed to Social Justice. In 2013, she received a special Lifetime Achievement Award from the New York Law Journal shared with the Skadden Fellowship Foundation. In 2015, Ms. Butler Plum was selected as one of 50 Inspiring Change Makers worldwide by the Harvard Law and International Development Society and the Harvard Women’s Law Association. In 2017, Ms. Butler Plum was honored by the Center for Popular Democracy.